I am a born and brought up Keralite presently settled in the UAE with a sweet little son and a supportive husband who are my biggest assets. I am crazy about crafts and the moment I sit to craft I am disconnected from the rest of the world. The final outcome gives me happiness a mother would have seeing her child smile……. I always had a liking for arts and crafts but was not able to take them up since last year because of academics, marriage and responsibilities far more important that biz. Around one year back finally I made up my mind to listen to my heart and decided to dedicate some time exclusively for my passion and my son starting his school helped a lot in this matter. Can ship to India and UAE. 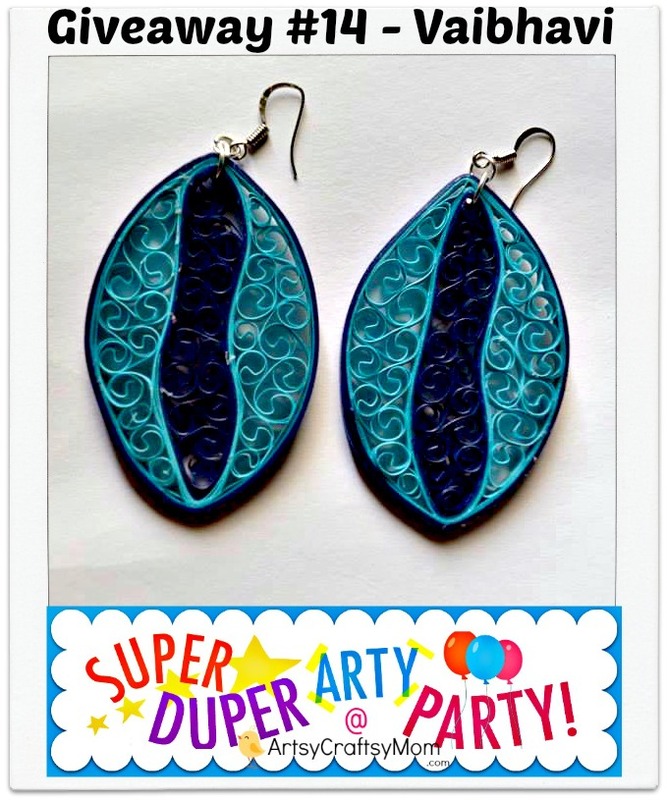 A set of handmade earrings paper quilled earrings. Leave a comment here telling me which is your favourite item from Vaibhavi. Open to anyone with an Indian / UAE shipping address. Prefect giveaway on perferfect Monday. 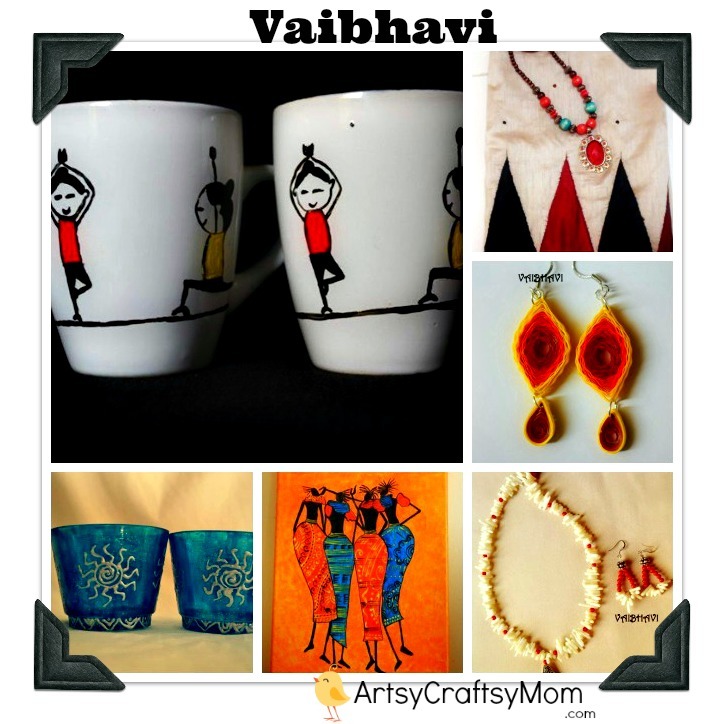 Vaibhavi is excellent..I luv the quilled creations and the Tribal paintings…they r too good. My pick would be a quilled ear ring….those are very pretty……….I’ve been collecting ear rings of various materials….this did be a lovely addition to my collection! Love the anklets and the quilled jhumkas with pearls!